Ferrari 488 Spider Interior, Sat Nav, Dashboard | What Car? 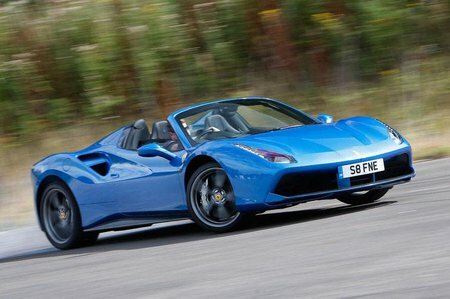 Many of the controls – lights, wipers, indicators, suspension adjustment, starter button and traction control switch – are located on the steering wheel itself, echoing the style, if not the content, of a Formula One car. Unfortunately, this arrangement isn’t particularly user-friendly for road driving and takes a bit of getting used to. Similarly, the two digital screens, which flank a large analogue rev counter, are far from intuitive. They can display everything from your speed to the navigation and stereo info, but you have to switch between their various menus using fiddly buttons and knobs. On the other hand, the separate air-conditioning controls, which are positioned in the centre of the dashboard, could hardly be simpler to use. The basic driving position feels just about perfect, while visibility is good for a low and wide mid-engined car. 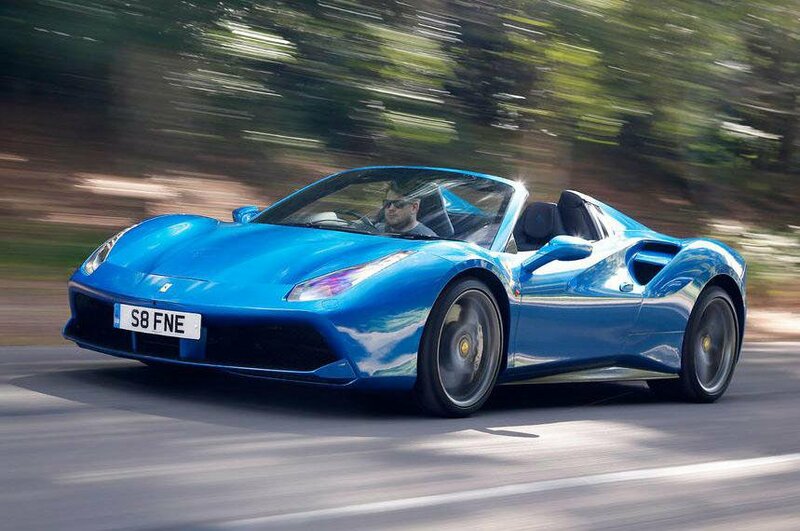 Ferrari offers a choice of seats, with the lightweight, manually adjustable items in our test car holding you tightly in place through corners and proving surprisingly comfortable even after a long stint behind the wheel. Perceived quality still leaves a little to be desired, though; the interior of a McLaren 650S feels more substantial, as does a Porsche 911’s.